In this summer workout, Bishop High School coach Tod Mattox stops play to make a point. His attacker has ripped a ball to right back, which is fine. But since 2 players were blocking right front and the setter was digging in the deep court, there was a better option: a tip to Zone 2. 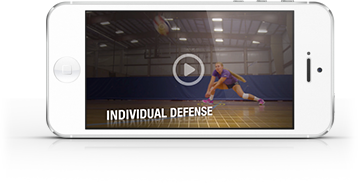 Watch the video to hear what Tod has to say about Zone 2 tips and why hitters need to be aware of the situation so they can hit the ball where the defenders aren't.